Tuesday evening, on CNN, Philadelphia Eagles quarterback, Michael Vick, joined Piers Morgan to discuss his autobiography Michael Vick: Finally Free. During the interview, he shared personal details about his downfall as a result of dog fighting, the consequences, including his imprisonment and how that affected his family, his road to redemption, and how he deals with people who may never forgive him. 1. The hardest moment was having to tell his son that he was being sent away to jail. 2. He loved dogs, yet loved the competition of dog fighting at the same time, in a totally different way. 3. He was on the links having what he felt was the best golf game of his life, when he found out about the raid on his Virginia property. 4. He did not confess the truth of his dog fighting actions to his mother until the day he was arraigned. 5. His three-year ban on owning a dog has expired, and he is leaning towards getting a dog for his children (but not a Pit Bull). Piers Morgan revealed that when he announced the Michael Vick interview on his Twitter page, he received mixed reaction with some saying that he should not have Vick on his show. He asked Vick how he responds to those people and Vick stated, ‘I overlook it’ and he understands that he can’t change what others think. Michael married his long-time love and “best friend” Kijafa Frink two weeks ago, and spoke endearingly about the love she has for their daughters and his son, and how she keeps him on track. As part of an ongoing partnership with the Humane Society, Michael Vick is featured in a dogfighting PSA. Did you watch the entire interview? 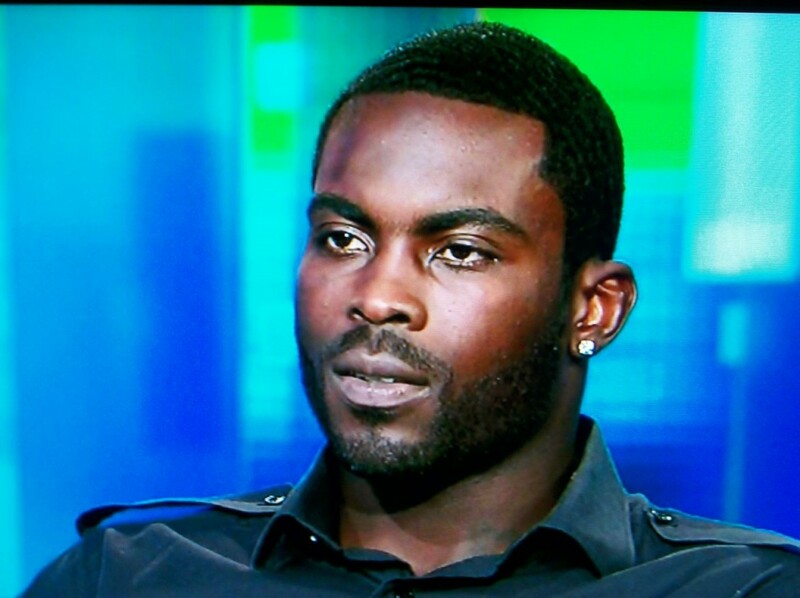 What are your thoughts on what Michael Vick shared with Piers Morgan?